Discuss your favorite brand and how to fix it. JMJ Farms wrote: Friend has a Kubota 9540. MFWD. Cab. No loader. 2xxx hours. Not sure of the exact year model but I think around 2008-2012. Can buy it for $21k. Sounds like a pretty fair price. Don’t really need it but I’m thinking about it anyway. Anybody got one? I have an 8540 (about 10 horse under the 9540) 300 hours, 4wd, cab and loader. I took the loader off as soon as I got it and never put it back on. Now I use it for spraying and hauling a bale wagon. Used to bale with it until I replaced it with a Kubota 105X. The 105 is twice the tractor of the 8540. Worst thing about the 8540 is it is a rough riding little tractor. 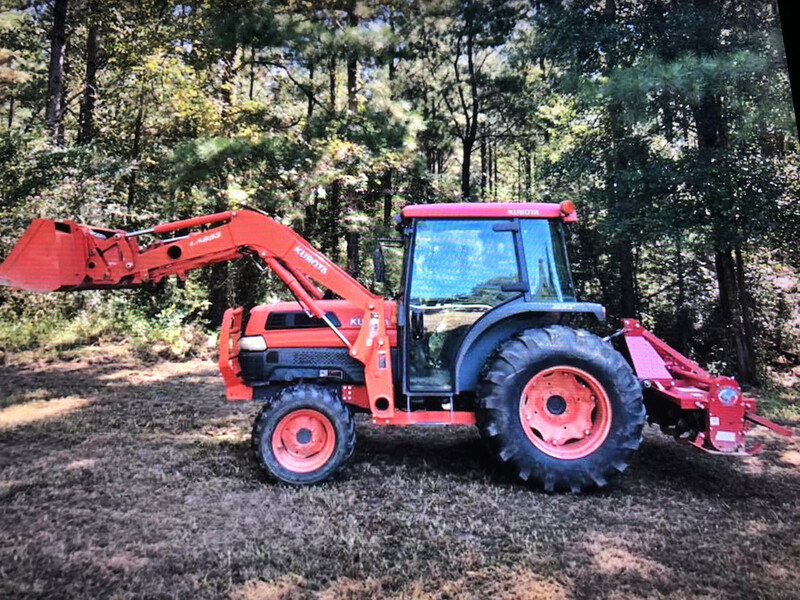 Found a 2007 Kubota 5030 with cab, fel and 480 hours for 25k, just need to go look at it next week. Very nice tractor................a 50 horse tractor (tested 46 hp at the pto), non Tier 4 with almost 15 gpm hydro flow (the loader will move fast), 3000 lbs 3-point lift, built in the Jpan factory. About as good as you can get. You want miss the 11000 hr. Mahindra....a good wax job with Meguiar's yellow wax, park it in a shed and it will be good for many years. circlebllc wrote: I have never seen a .39 cent JD part! Right now I'm awaiting delivery of a 3500# pressure switch for my 1991 JD baler. When the parts guy looked it up and quoted me the price ($165) I said great. When he finished the order with shipping the price was $257 with $18 shipping............daaaaaaaaaaa. I said what happened to the $165? He said that screen apparently hasn't been updated......my thoughts: Since when? JMJ Farms wrote: ............Worst thing about the 8540 is it is a rough riding little tractor. Ever think about an air ride seat? Beats most any suspension seat I ever sat in. You don't have to buy the whole seat at $1200. Ebay has just the suspension system with compressor for around $400. Just take your existing seat off the current suspension system and put it on the new one. My Branson 6530 came with one and I really liked it so I bought just the suspension mechanism for my rough riding 2400. Its the side to side motion that makes my back stiff after riding a tractor all day. Does the air ride help that? On the ebay air ride seat suspension, what powers the compressor? I always get parts next day for free. I've been using the same dealership, now a chain, for 40 years and never got free shipping. Wasn't free to go to the counter and pick them up either beins the dealer was 25 miles away. Maybe my volume isn't up to par. 12V powers it, power switch included in the unit. 15 amp fuse will cover it. Like other suspensions, it only controls up/down movements. Side to side on my 6530 was limited by the curvature of the seat and side arm rests. On the little tractor, with a basic low back seat, I limited that by 10 psig in the tires and lots of weights.....both of which helped the softness of the up and down movement too...I could run lower air pressure because I didn't have to worry so much about the bottoming out spine jarring jab. Problem on the little guy is that the tires are rated at 2430# each (both 6 ply F4s and replacement 4 ply turfs which I thought would be softer...not much) at 35 psig and the tractor only weighs 1800 + FEL. I do see the need for stiff sidewalls consider the lateral movements tractors get into but 3 to 1 weight ratio is too much for me.